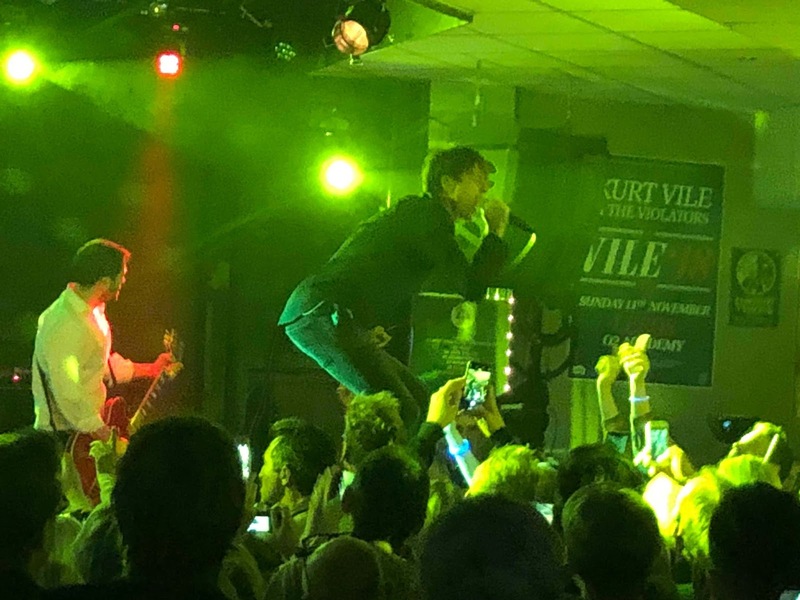 Suede took to the stage at the intimate legendary Brudenell Social Club in Leeds on Saturday night for two sets to help celebrate the release of their latest album The Blue Hour. We caught the first of the two sets that focused solely on material from that record and those since they went back into the studio after reforming. 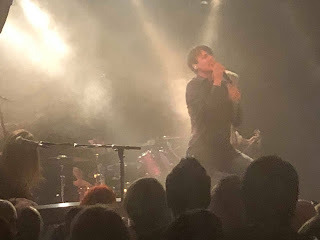 Speaking about the release of The Blue Hour, Brett Anderson was quoted as saying "“The key to all this is to never rest on past glory but to keep pushing what you do and keep creating.” It's an ethos that we can only applaud and wish that every band reforming to cash in on the heritage and nostalgia trip boom would subscribe to. With The Blue Hour, Suede have done exactly that. It's still Suede, but it's a Suede that's developing into something different. The widescreen cinematic sound of The Blue Hour, characterised by the album and this set's opener As One, translates well to the live environment in such intimate surroundings. Brett delays his entrance whilst his band mates set the sonic landscape for him. Wastelands follows, and is probably the most direct lineage to the Suede of their 1990s heyday, sounding like it could have fitted bang in the middle of Coming Up and not feel out of place save for its spoken word outro. It feels like they're about to play the album in full as the opening bars of Mistress strike up over the end of that outro. There's a wonderful misty-eyed battered and bruised romanticism to the song which Brett's voice expresses so succinctly with a lilting lift to it, and that carries through into Beyond The Outskirts, which sees Brett reaching out the audience holding hands as he leans across them. There's no need for such physical acts of connection though as the three hundred and fifty so devotees are hanging off every note and every word. Chalk Circles and Cold Hands up the tempo and induce a mini mosh-pit down the front of the devotees, so devoted that they all seem to know every word of these new songs less than forty-eight hours after they were let loose in the world. There's not a murmur either that the set hasn't touched on the band's considerable legacy at this point. That changes to a point with Outsiders from their previous album Night Thoughts and It Starts And Ends With You and Sometimes I Feel I'll Float Away from its predecessor Bloodsports and the crowd start to let loose rather than listening in awestruck wonder. When Sometimes I Feel I'll Float Away drops down though there's silence in the room before Brett comes back in unaccompanied. As they finish with two more songs from The Blue Hour, that reverence is replicated during The Invisibles where the song stops dead then Brett breaks the silence where you could hear a pin drop by singing away from the microphone. Before the soaring anthemic majesty of Life Is Golden closes the set Brett calls us tough northerners with beating hearts, one of the few verbal interactions with us between songs. It's a fitting conclusion to a set, a song that stands toe to toe with the absent big hits in terms of its sonic adventure and scale, proof that they're not just making mealy-mouthed statements, but walking the talk with their new material. The second set later is hits-based, but we think we got the best deal - a band still seeking new creative directions and adventures, rebasing and retouching their palette and still as vital and important to those who care about them as they've ever been. Suede played As One, Wastelands, Mistress, Beyond The Outskirts, Chalk Circles, Cold Hands, Outsiders, It Starts And Ends With You, Sometimes I Feel I'll Float Away, The Invisibles and Life Is Golden. Suede's official website can be found here. They are also on Facebook and Twitter.